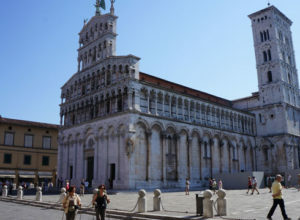 "I walked the route form Lucca to Colle di Val d’Elsa for 5 days in September with 2 friends. From the booking process to the information needed for this trip, right to the end, the service of Caminoways was excellent. They even phone before the start of the trip to find out if I am happy with everything, which I thought was a nice touch. The signs on the route was marked very well. I also used the off line maps on my phone which I found on the Via Francigena website.All the accommodation was centrally located, with some better than others. The food was overall very good. The breakfast at some places was a bit feeble for the days walk, but that is typical of Italy. The luggage transfers went smoothly.The first day of walking from Lucca to Altopascio was mostly on roads with traffic. The least interesting day of all the days. Day 2 to San Miniato (29 km) was quite a challenge due to the heat, but the route was beautiful and mainly flat through rural areas, ending with a 3 km climb to San Miniato. What a stunning town, with amazing views. Most beautiful town. Day 3 to Gambassi Terme I enjoyed the most. 24 km through vineyards, olive groves and farms. No towns on the way. I walked mainly on my own this day. I felt safe all the way. Gambassi Terme was another beautiful town which did not have many tourists.Day 4 and 5 was both short distances (± 14 km per day) through stunning environments and quite hilly. This was the first hiking trip I did and it is as if another world has opened up for me. I loved it. Nice to have a challenge every day, with a bit of figuring out the route along the way. Different way of exploring a new area. I will definitely use Caminoways again!!!!" "I just completed a 17-day walk from Lausanne, Switzerland, to Vercelli, Italy, using Camino Ways, or technically, their affiliate, Francigena Ways. They delivered a great and rather exclusive itinerary. 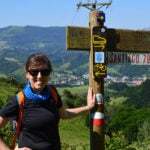 As I've written here before, the strength of the company is their ability to provide hotels and baggage services for the less traveled Camino routes. And they execute well. First off, the Via Francigena (going from Canterbury, England, to Rome) has far fewer walkers than the Camino de Santiago. You will often go several days without seeing a fellow walker. However, the scenery and historical sites often outshine its better-known competitor. My route from Lausanne, Switzerland, to Vercelli, Italy, is considered second only to the stretch in Tuscany for its beauty (been there, done that). It was a great route overall, but several days in particular were spectacular: 1) the first day walking along Lake Geneva to Vevey; 2) the climb up the St. Bernard Pass in Switzerland and the descent the next day into Italy; 3) the ancient Roman town of Aosta and its surrounding alpine scenery; 4) the castles of Verres and Issogne; and 5) the first day's transition from the Aosta Valley to Piedmont, specifically the walk from Ivrea to Viverone. Highly recommend!" This leg took 8 days with a stop over in the stunning San Gimignano - what a place! We went at the end of June. The first 4 days were very difficult as it was about 36 degrees and it was difficult when you where in the open countryside trying to find shade. The main problem we found on some of the routes was trying to find places to get water. We'd a particular problem going from San Miniato to Gambassi Terme (24 kms) where luckily we found a water pump behind a derelict church. There was literally no other places en route. As a result we had to carry loads of water each day. Also we started the walk on a Monday and almost everywhere was closed! Another thing to mention. We wore trainers because it was dry but we got caught in a thunderstorm and the dry clay paths turned to mud making it very difficult so maybe some more robust footwear would be advisable even in Summer. The signposting is generally good with a mish mash of different types of signs. The countryside is stunning and the towns you pass through amazing. It was a great experience. We ended our trip in Siena which is such an interesting and awe inspiring place. This section of the Via Francigena in Tuscany, from Lucca to Siena, is one of the most popular and spectacular stretches of the Via Francigena, the Camino to Rome. The trail starts in the walled city of Lucca with its amazing Renaissance wall and citadel, and finishes in the UNESCO World Heritage historic centre of Siena. You will walk in the heart of Tuscany, across beautiful rolling hills and woodland, stopping in gorgeous villages along the way where you will enjoy a well-deserved rest. 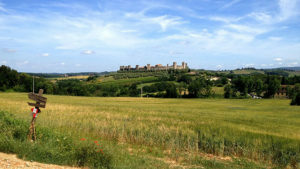 There are many wonderful sights on this section of the Via Francigena including the tiny walled hilltop town of Monteriggioni and two impressive UNESCO World Heritage Sites: the breathtaking town of San Gimignano with its medieval towers and magnificent Siena, a historical, artistic, cultural and gastronomic gem. If you travel in July or August, you might be able to witness one of Italy’s most traditional horse races: the Palio di Siena. If you travel in Autumn, this part of Tuscany is world-famous for its white truffles so foodies are in for a treat! All along the way you will taste delicious Italian cuisine. With many 5 star reviews this is a fantastic route for anyone interested in a walking holiday in Italy. If you’d like to join a group, this trip is also available as a guided tour, see details here: Via Francigena Tuscany Guided. Click below to create your trip. You can walk or cycle. This is the most popular itinerary, you may be able to combine or split the distance for each day. Click on get a quote to customize your trip. This first part of the Via Francigena trail from Lucca to Altopascio is flat all the way. You will pass the towns of Capannori and Porcari and their lovely little churches. Your destination for the day is Altopascio which is know as the ‘town of bread’ for its tradition of bread making. There is an interesting church and bell tower in the centre of the town. Today, the Via Francigena trail gets more interesting as you leave Lucca and its suburbs behind. This section follows a lovely trail through woodland and farmlands. There is a short climb and descent before you reach a fortified 16th century Medicean bridge over the canal. 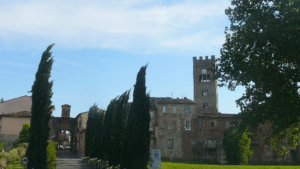 You will then pass the lovely town of Fucecchio and over the Arno river, before the final climb up to the breathtaking town of San Miniato (Alto). There are plenty of artistic, cultural and historical sights to see here. The town and region are also renowned for its white truffles. Today’s walking section on the Via Francigena follows a lovely trail through oak woods, chestnut woods, olive groves and vineyards. The trail is predominantly on off-road tracks over small rolling hills, the classic Tuscan landscape. On the way you will pass Chianni where you should visit the lovely little church. There is a 300m climb to Gambassi Terme, a hilltop town best known for its spa and hot springs, as well as glass manufacturing. From Gambassi Terme you will descend for a couple of kilometres before you begin another climb. The day is quite up and down but the scenery as you pass through the world famous Chianti vineyards will make the effort worthwhile. San Gimignano, in the middle of your walk, is a wonderful, walled, hilltop, medieval town, where you can stop for the night if you decide to split this day. The towers of the town can be seen for miles around. 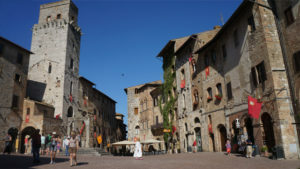 The museum of San Gimignano 1300 has a wonderful reconstruction of how the town once looked and is well worth a visit. Easy Walking Option: You can choose to split your long walking day above between San Gimignano and Monteriggioni, if you would like to walk at a more relaxed pace. You would stay overnight in a charming hotel in Colle di Val d’Elsa. From the Piazza in Colle di Val d’Elsa, you will continue your walk along tree-lined roads, starting with a long descent to Castel Petraia and then up to the densely forested hill of Montagnole. 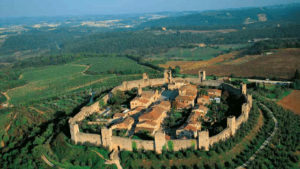 Your walking day on the Via Francigena takes you to the unique hilltop village of Monteriggioni with its circular wall. After Monteriggioni, the Via Francigena takes pilgrims towards the village of Funghaia and its church with frescoed interior. Make sure you experience real Tuscan food in one of the region’s best osterias, as you reach stunning Siena. Siena is a UNESCO World Heritage Site and one of the most visited places in Italy. It is world famous for its art, medieval architecture, museums, cuisine and the ‘Palio‘, the spectacular annual horse race held in the city’s piazza. We have handpicked our hotels on the Camino de Santiago based on their character, facilities and comfort. You will usually arrive at your accommodation in the afternoon giving you plenty of time for a refreshing shower and a visit to the local village, or maybe just to unwind and relax. Please note: Accommodation is subject to availability. We have hand-picked family-run hotels and guesthouses along the Camino for their character and warm hospitality. Up to 3-stars, you will be staying in the centre of town and close to your Camino trail. 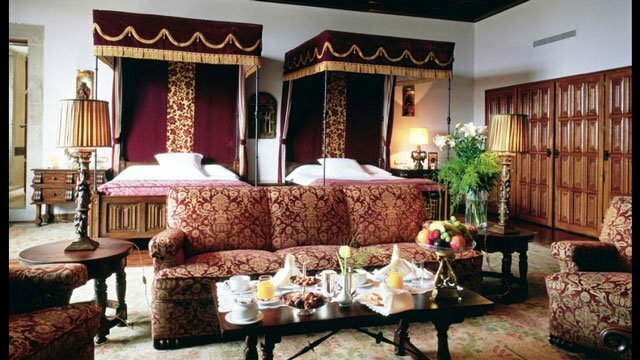 Stay in very special hotels and unique properties along the Camino. We have selected luxurious 4 and 5-star hotels, boutique guesthouses, relaxing country homes and stunning heritage ‘Parador’ hotels so you can feel pampered. Rest assured when you select Superior Collection, you will enjoy the full experience of our best hotels and top guesthouses when and where this option is available, however, bear in mind, that sometimes due to location factors, only our choice of standard collection hotels and guesthouses may be available. Live information on Rome2Rio. We can also arrange private transfers if you prefer, just ask us. Pisa International Airport 35km: Firstly you need to reach Pisa central train station (Station Ferroviara Pisa Centrale). The airport is only located 1km from Pisa central train station and PisaMover Bus Service provides the transfer. To get to Lucca from Pisa central train station you can take a regional trains (approx. 30 minutes travel time). You can check the timetable at www.trenitalia.com. NOTE: Depending on the connection schedules, sometimes it’s better to make the connection at Viareggio instead of at Pisa Centrale. The Trenitalia website will indicate when this is the case. The unreserved regionale train from Viareggio to Lucca also costs 3 Euros and takes just under 30 minutes travel time. – Train Option: With the Italian regional line www.trenitalia.com, Florence to Lucca takes roughly 1.30 hours and costs around €7. – Bus Option: From Florence to Lucca, you also have the option to take the intercity bus (Monday to Saturday only), which departs hourly from the intersection of Via Nazionale and Via Fiume, 250 meters from the S.M.N. train station. The bus takes 80 minutes and costs about the same as the regionale train, but has reclining seats. Be aware departure location may change in the future. Bologna Airport 151km: Shuttle bus from Bologna Airport to Bologna Central Station (every 11 mins, €6 one-way). For more information see: http://aerobus.bo.it/en. Train to Florence (34mins), change to regional train to Lucca (1h20). Fares from €24. For more information see: www.lefrecce.it/. The Leonardo Express train costs €11 and takes 30 minutes. Terravision Shuttle Bus. Ticket is €9 for 70 minutes of travel. City bus: The bus stop is located outdoors at ground level, 100 meters left from arrivals (teminals B&C). You can buy tickets at all tobacco shops – they have blue signs (Tabacheria). Fares is 4 Euros; 45-80 minutes travel time. Taxis outside the passenger stations. The trip cost usually €40 to get to the city centre plus €1 fee for each suitcase. From Roma Termini you can decide to go to Pisa or Florence. Florence International Airport 86km: You can either take the bus or the train. However they don’t stop at the same finishing point. The bus will drop you off in the heart of the historic city centre of Siena whereas Siena train station is located further away from the city centre and you might need to take a city bus (5 min travel time approx). – Autostradale bus express, coming from Pisa, stops in Florence and reaches Siena in less than 2 hours. See: www.airportbusexpress.it. – SITA bus, www.sienamobilita.it. The bus station is just around the corner from the train station in Florence. 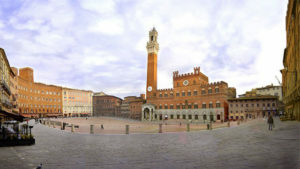 SITA buses to Siena take just under an hour, run frequently and takes you to Siena historic city center. Make sure you take the rapide (express) and not the ordinarie, which stops in Poggibonsi and Colle Val d’Elsa. Ticket costs €12. To reach the Santa Maria Novella train station in Florence from the airport, just take the city line Vola in bus from the airport. The service connects the city centre in just 20 minutes and the fare is €6 one way. Trains from Florence to Siena leave Santa Maria Novella station roughly once an hour on most days, and a direct train takes about 1.5 hours. The ticket is in the €6-10 range (if you’re on the direct train). See www.fsitaliane.it for more information. Pisa International Airport 130km: You can take two different buses outside the airport going directly to Siena (under 2hr approximate travel time), for more information, see: http://www.pisa-airport.com. – Train S.p.a, see: www.trainspa.it. Leaving directly from the airport to Piazza Gramsci in Siena. It takes you around two hours travel time and costs €14 one way. – Autostradale, see: www.airportbusexpress.it. It follows similar itinerary than Train S.p.a but with a change in Florence. One way ticket costs €15. All informations, timetable and route with Siena Mobilita. Bologna International Airport 167km: There are bus and train connections available to Siena. Shuttle bus from Bologna Airport to Bologna Central Station (every 11 mins, €6 one-way). For more information see: http://aerobus.bo.it/en. From here you will take the train to Siena with a change in Florence. 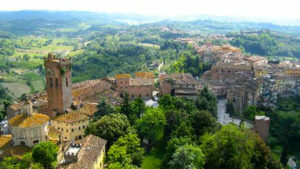 Train to Siena (2hr 30, from €24 one-way). For more information see: http://www.trenitalia.com/. Bus from Bologna Airport to Siena Train Station. (4 times daily, from €18, Duration 2h40 – 3h40). For more information see: http://www.sena.it/Autobus/Bologna/Siena/125-234/49-1.html. All our trips include; Holiday Pack and maps, selected accommodation with private bathroom, 24/7 support during your trip and GPS data files. OPTIONAL: You will also have the option to add or remove the Luggage transfers (one bag up to 20kg per person), dinners (where available), bike rental and airport transfers. 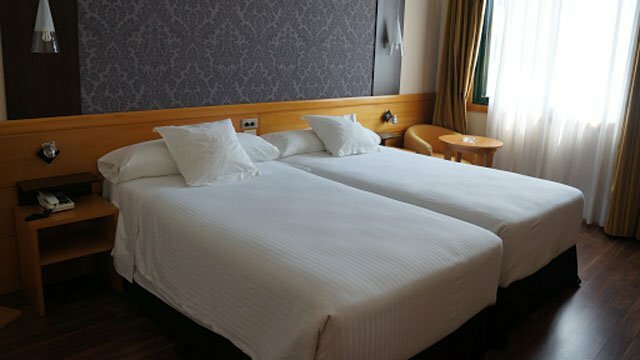 Accommodation: We aim to book you into each of the towns listed on the itinerary, however in case of low availability we may book you 2 nights in the same town with provided transfers. If you are booking Superior collection or Country cottages, your accommodation may be away from the route with included transfers. See http://caminoways.com/country-cottages for more details.